Patriot Prayer members debate with students. 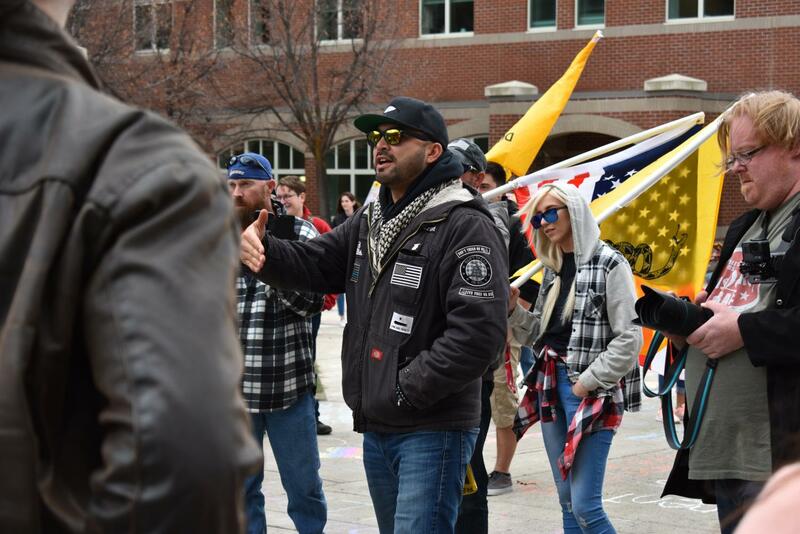 Joey Gibson, seen in front, is the founder of Patriot Prayer and helped lead Patriot Prayer through campus. I was going to heed that advice, stay inside and wait for my peers on The Observer to report any news. I was going to be responsible because, though it is good to hear the points of views of others, people like those involved with Patriot Prayer are scary. Neo-Nazis and their affiliates are not people I want to give my attention to. However, on a last-minute impulse, I decided to attend their first event, an open debate on our First and Second Amendments, that took place outside of Black Hall. I had been walking to Bouillon Hall when I saw the art that covered the ground in front of Black Hall. There were phrases drawn in chalk asking for peace rather than hate. Though some of the chalk may have washed away with the small amount of rain we received, the message was enough for me to spend an hour outside to watch this “debate.” This was enough for me to grab my press pass, cross my fingers and check out the non-action. The debate started and a man associated with Patriot Prayer immediately tried selling the group to the students who were not participating, asking us if we no longer wanted our freedoms and if we wanted to be under the fullest control of the government. He was antagonizing us at our home away from home while still assuring us that he was not armed. He was assuring us that we were safe in his presence. Nothing makes me feel safer than a clear threat telling me that I am feeling the wrong way about him. His reassurance didn’t help. 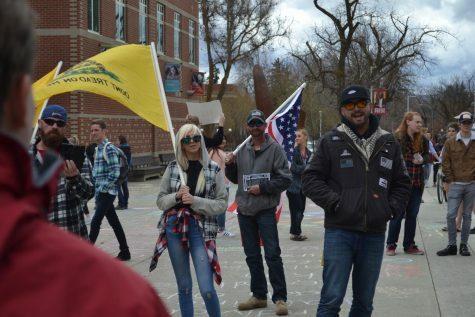 What helped was seeing my peers still writing positive messages on the ground even as Patriot Prayer marched onto our campus with two flags reading “Don’t Tread On Me.”. What helped were the people holding a hacky-sack game right behind the unwelcomed demonstration. What helped were the people holding up colorful signs that said, “this is a hate group, don’t engage,” “spread positivity” and “feel unsafe, walk with us.” What helped was this campus taking a stand against hate. In the end, they kept their word. 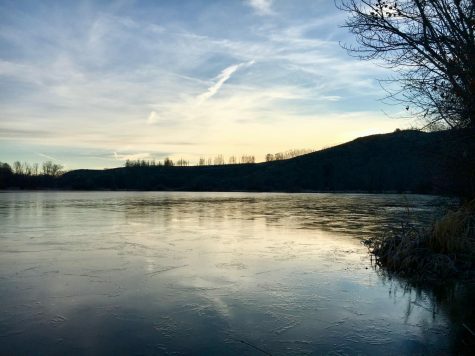 From what I saw, the event remained peaceful even though the atmosphere was tense. Everyone has the right to the First Amendment, but hiding behind your rights to spew pseudo-facts and scare others into conforming to your beliefs makes you a bully. As much as I did not want to see Patriot Prayer here at CWU, I did enjoy seeing students come together and peacefully show their disdain for the group.